thank you for your reception report. 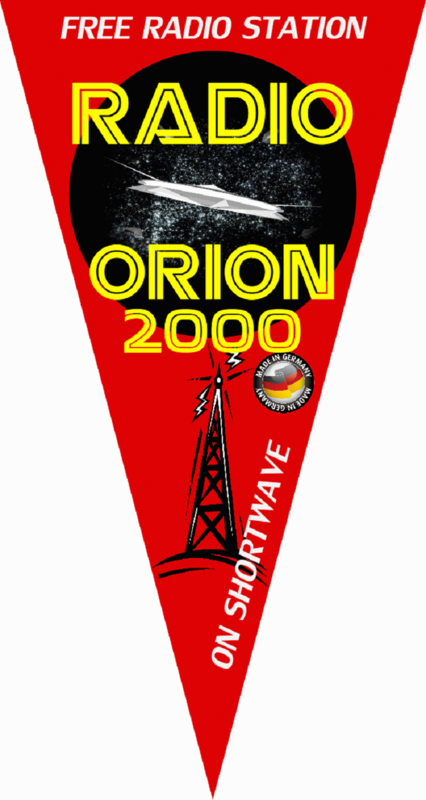 Yes, you heard Radio Orion 2000 on shortwave. We are transmitting with a home-brew DDS-transmitter with 300 watts PA and dipole antenna. We are creating a new eQSL and so you will receive a eQSL at your next report. Please find enclose our Radio-Orion-2000-pennant. Please send us an other report if you here us again.